NetApp OnCommand Cloud Manager is the required software for Cloud Volumes ONTAP, offering rapid installation with a simple, point-and-click environment. It provides management for your AWS environment with Cloud Volumes ONTAP along with your on-premises NetApp AFF and FAS storage systems. Start Your Free Trial of Cloud Volumes ONTAP Here! 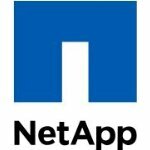 NetApp OnCommand Cloud Manager is the required installation and deployment software for NetApp Cloud Volumes ONTAP storage software service. Cloud Manager provides management for your NetApp cloud and hybrid cloud storage environment including Cloud Volumes ONTAP, Cloud Volumes ONTAP High Availability, NetApp AFF and NetApp FAS storage systems. Cloud Manager eases the day-to-day requirements of your ONTAP software environment including configuring, provisioning, and monitoring each of your active virtual and hardware storage nodes. It offers a point-and-click installation that automatically selects and assigns cloud resources to each instance. When deploying Cloud Volumes ONTAP, Cloud Manager will use your AWS credentials to select the EC2 virtual machine and the EBS or S3 storage necessary to run the instance of your choice. When deploying Cloud Manager, you can provide your IAM profile. Find out more in the Usage Instructions below. IMPORTANT: Be sure to subscribe to the necessary Cloud Volumes ONTAP instances prior to deployment. You can find the single instance, high availability instances or the BYOL versions on the AWS Marketplace by searching for "NetApp Cloud Volumes ONTAP".